The Collis Curve Toothbrush was developed with a unique design and carefully crafted to create an efficient technique for brushing teeth. 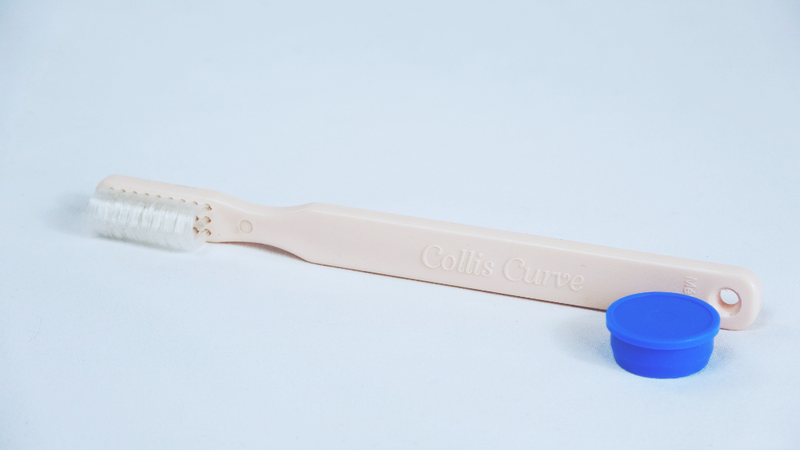 The Collis Curve Soft brush is a gentle brush designed to increase circulation in the gum line area by its lightly massaging action. Ideal for carers and brushers with a limited range of motion. Indications for use include; sensitive gums; gums bleed upon brushing; post-operative conditions; and a first time user of the curved bristle. A growing number of chemotherapy patients are beginning to use it too as it has proved to be ideal for them. This is a good brush to use until the gums are in a healthy condition, at which point a Medium bristle will give you a more positive feeling of massage. Bristle diameter 0.007″ trim height: adult length 15/32″. The Collis Curve Medium (.009″ diameter) bristle is the ‘stiffest’ we have. It will give you a positive massaging feeling and do a superior job of cleaning. This brush is recommended for patients who have healthy gums and have already used the Soft Collis-Curve previously. This brush is also good for cleaning braces. 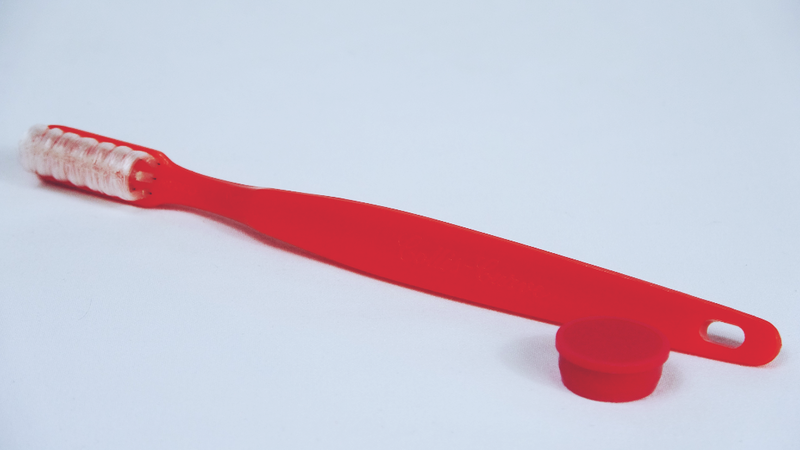 The Collis Curve Perio brush is for patients with recessed gums, long or longer teeth; patients with dental appliances such as braces, caps, crowns, implants etc; and for patients who have periodontal pockets. The longer curved bristles reach gently around these special areas. 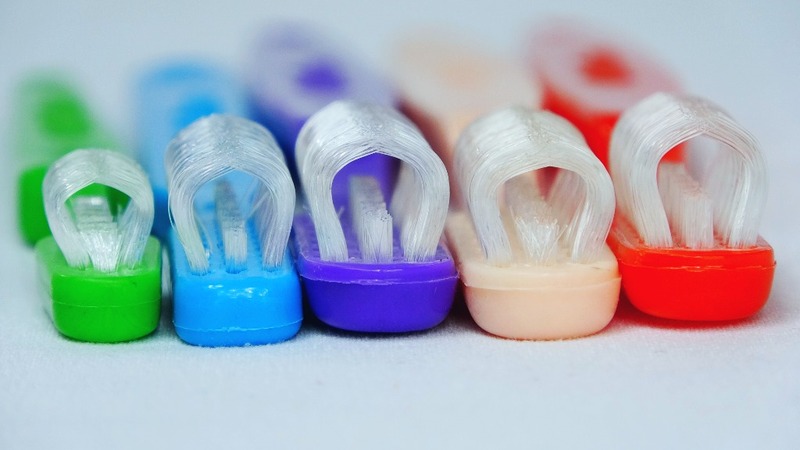 Bristle diameter is 0.28 cm with longer trim height. Adult length 1.27 cm. The Collis Curve youth for juniors has a small head for easy manipulation in the confined spaces of the young patient’s mouth. Start using at the appearance of the first molar, usually 6 years old. It is recommended to assist children with brushing until they reach at least that age. 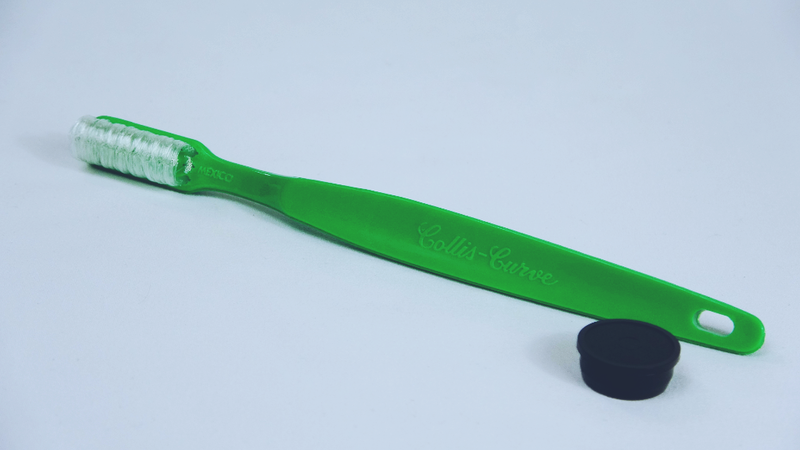 The Collis Curve Baby has a smaller brush head for easy manipulation by parents as they clean their children’s teeth. 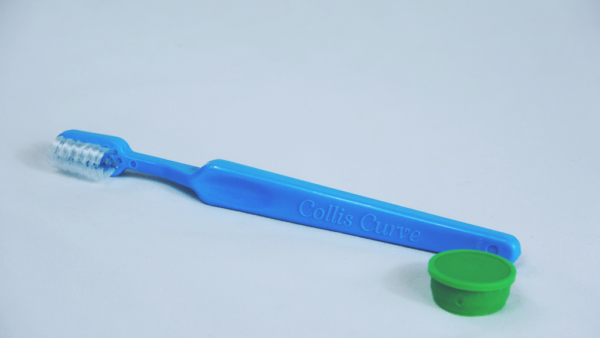 Collis Curve’s ‘on-track’ comfortable back and forth technique makes it easy for parents to brush their children’s teeth. Soft bristles, 28cm; small brush head. Use at the appearance of the first tooth.